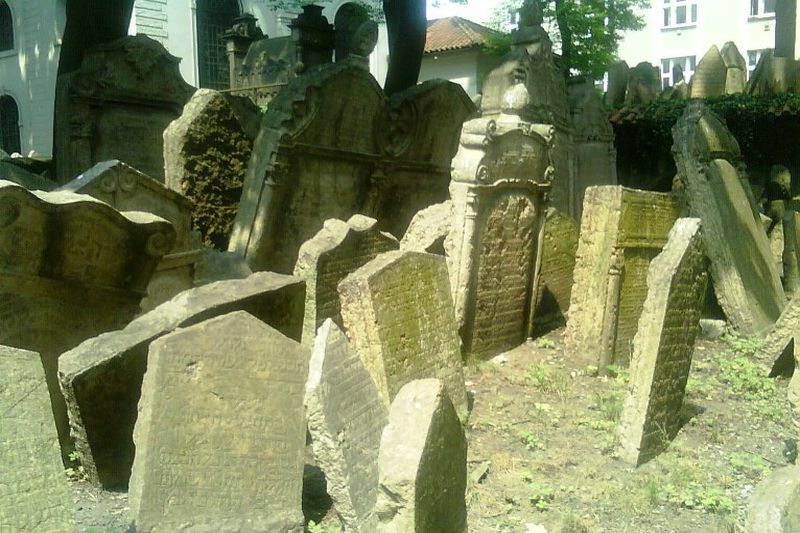 Tour of the oldest Jewish burial grounds. 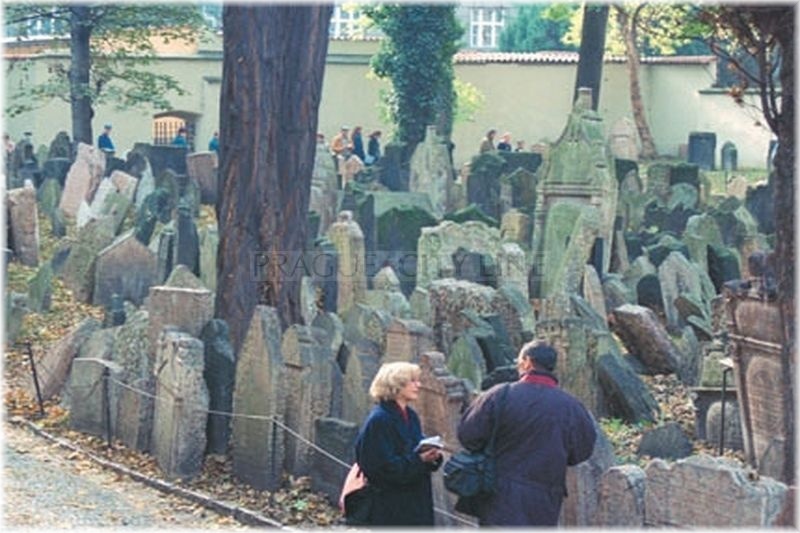 On your Prague tour, let me invite you to one of the most memorable burial grounds in the world, the Old Jewish Cemetery. 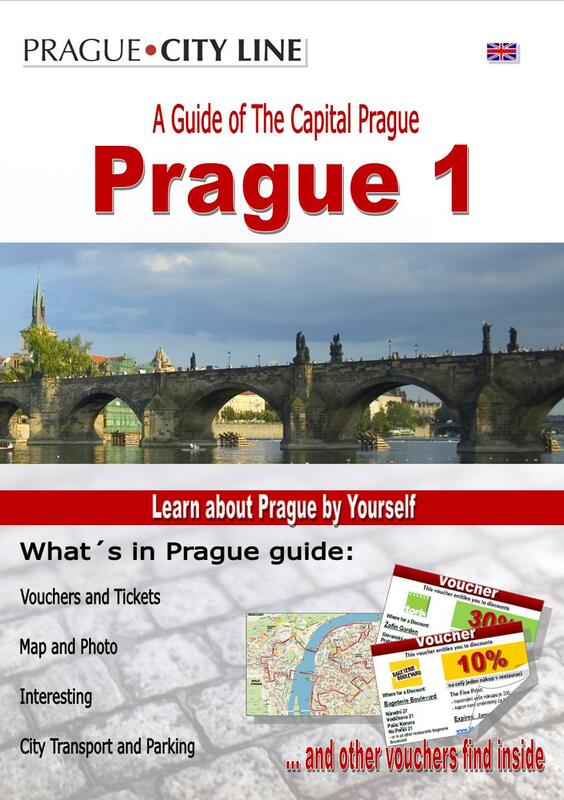 We can reach this historically important place comfortably by walking over the Charles Bridge and then along Křížovnická street in the direction of Jan Palach square and there we will find ourselves directly in the centre of the Jewish Town. 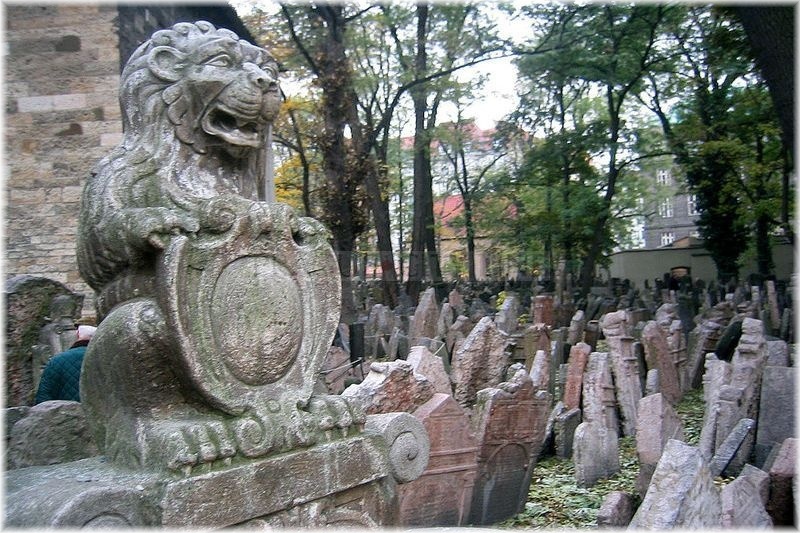 The Jewish Cemetery lies in Josefov in the Old Town and hardly anybody knows that it belongs among three most famous Jewish cemeteries in Prague. The exact date of its establishment is not clear. 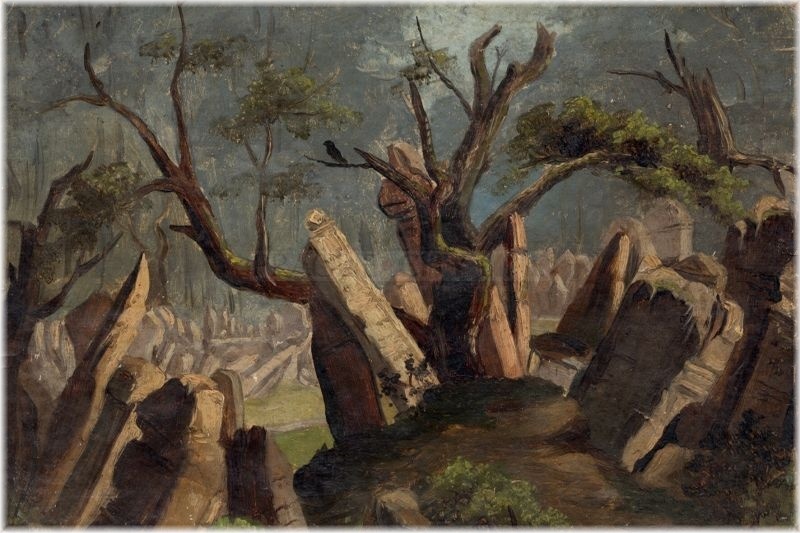 According to the oldest preserved tombstones, the cemetery is presumed to be founded at the turn of 15th century. This tombstone comes from 1439 and belongs to a scholar and poet Avigdor Kara who died on 23 April 1439. We are going to stop for a moment at the entrance. Opposite, we can see graves of prominent Jewish doctors Beer Keller (+1688) and his son Löwe Keller (+1697). 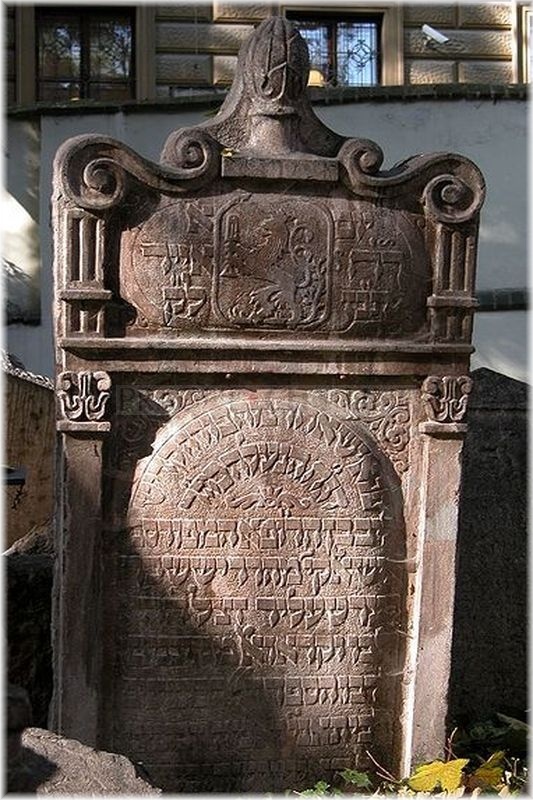 The interesting Rococo double-tombstone belongs to doctors Salomon Šumperc (+1729) and his son Moses (+1742). Before we take a look around the site, please notice the left side of the cemetery wall. It contains remnants of the oldest tombstones which were bricked in. Those were discovered in 1866 during the construction of “Měšťanská Beseda” building. A great number of significant personalities from Jewish Community were buried here. One of the most prominent ones was Judah Loew ben Bezallel, known under the name Rabi Löwe (+ 1609). During the reign of Rudolf II, Löwe used to serve as a leading rabbi in Prague. His personality is particularly known for the legend that he created an animate being – Golem. Another person buried in this cemetery was Mordecai Maisel (+ 1601) then Primate in the Jewish Town who had significant merits in its development. 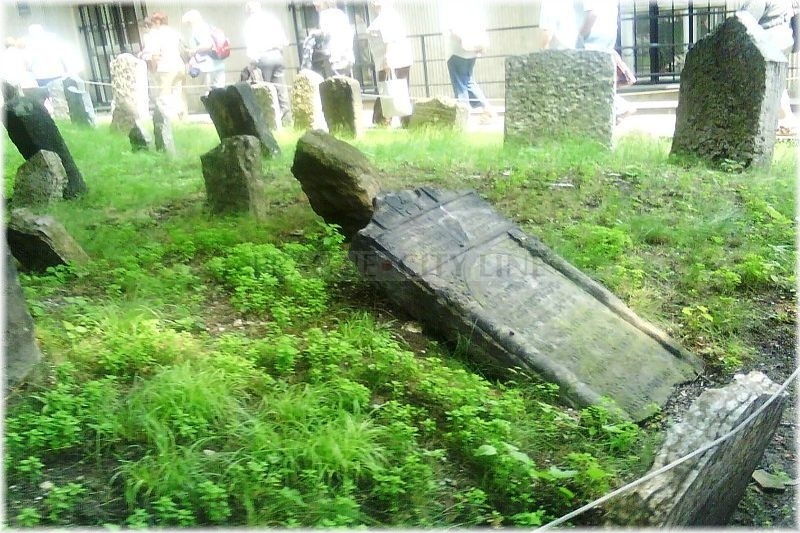 The tombstone dating back to 1613 belongs to the historian, scholar, mathematician and astronomer David Gans. Rabbi David Oppenheim (+1736) was a prominent collector of Hebrew manuscripts and press whose collection can be found in Bodleian library at the Oxford University. Those mentioned persons and many others rest on a ground overgrown with ivy. 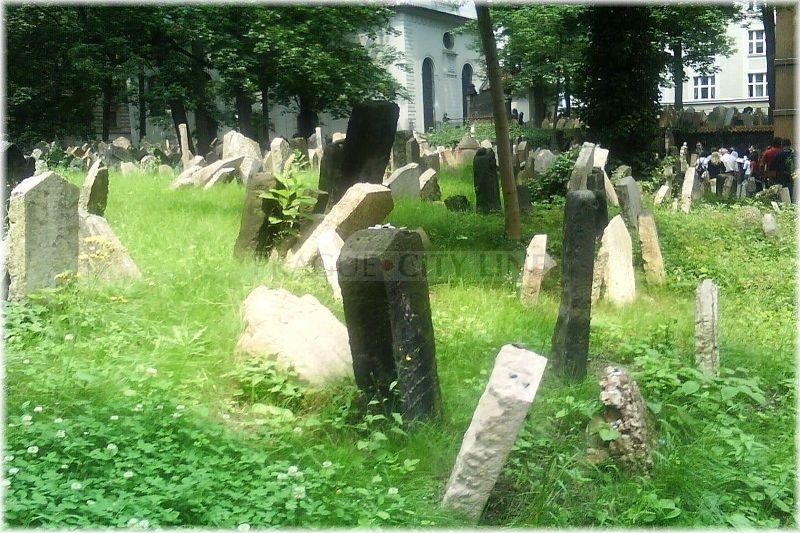 There are approximately 12 000 tombstones in the Old Jewish Cemetery. 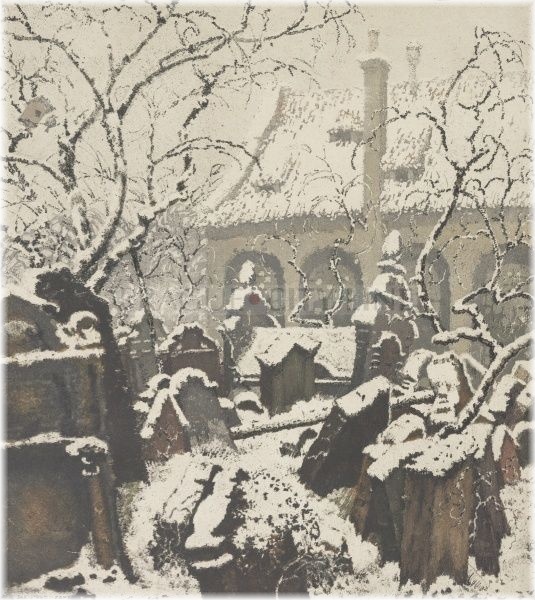 Well, we ought to mention, that the exact number of people buried here is much higher since a Jewish tradition forbids destruction of old graves and removal of tombstones. Therefore it used to be a regular practice that when the cemetery run out of space and no other burials could proceed, more layers of soil were heaped up onto the existing graves. The cemetery is believed to have up to 12 layers. The old tombstones were always levered up and placed upon the new layer. You have certainly noticed symbols on tombstones while walking past the graves. The prevailing symbol is a bunch of grapes. It symbolizes fertility and wisdom. Moneybox, the symbol of charity, or the Star of David hexagram appear frequently, as well. We can see here many other symbols representing personal or family names. An interesting fact about Jews says that they used to add the name of their native town or community to their name. A thorough inspection of tombstones uncovered large occurrence of the “surname” Lieben – from Prague quarter Libeň; Roudnic, Kolín, Pardubic, Žebrák and many others. I would also like to draw your attention to the tombstone of Moses Lupman Beck which stands on the path to the historic entrance. This was the last person buried in this cemetery on 17th May 1787. 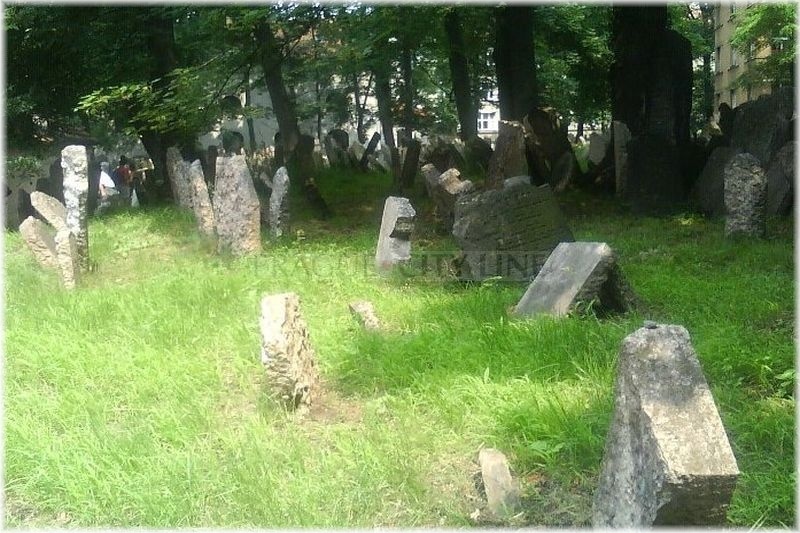 There are no sources whether any other burials took place in Josefov cemetery. 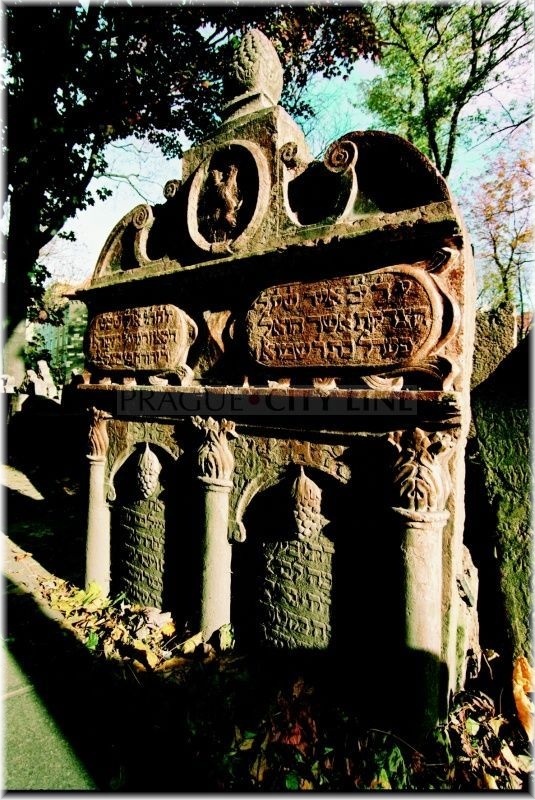 Since then burials took place only in the Jewish cemetery lying between today’s Žižkov and Vinohrady which was founded during the plague epidemics in 1680 and served its purposes until 1860. Preserved remnants of this cemetery can be found under the Žižkov Television Tower. 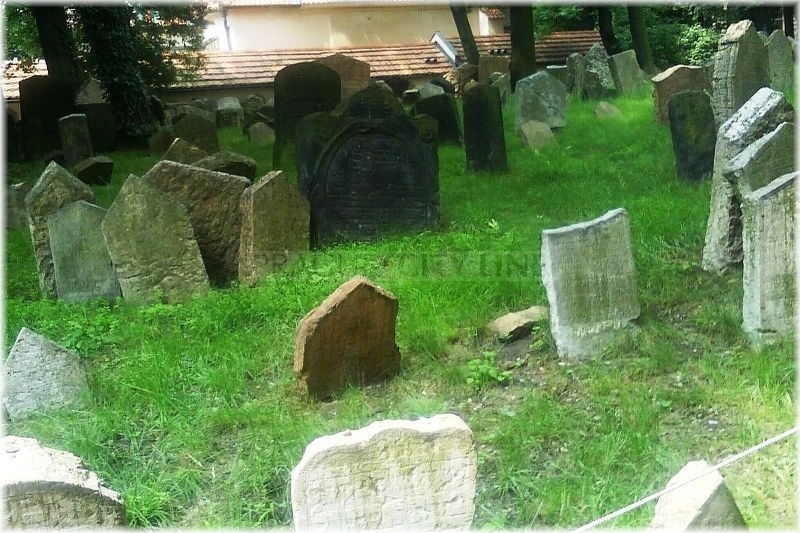 Since 1891 burials have been taking place in a graveyard which is a part of Olšany cemetery. 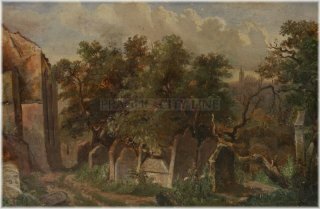 The Old Jewish cemetery became a National Heritage in 1995. We have reached the end of our tour. 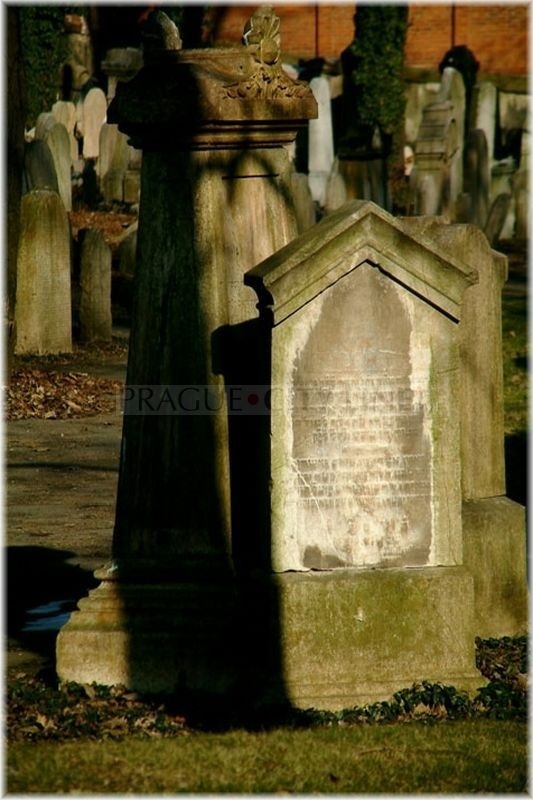 I strongly believe that you liked this historically important place and if you want to see the above mentioned Žižkov cemetery, you will not make a mistake by seeing it from the Žižkov Television Tower. 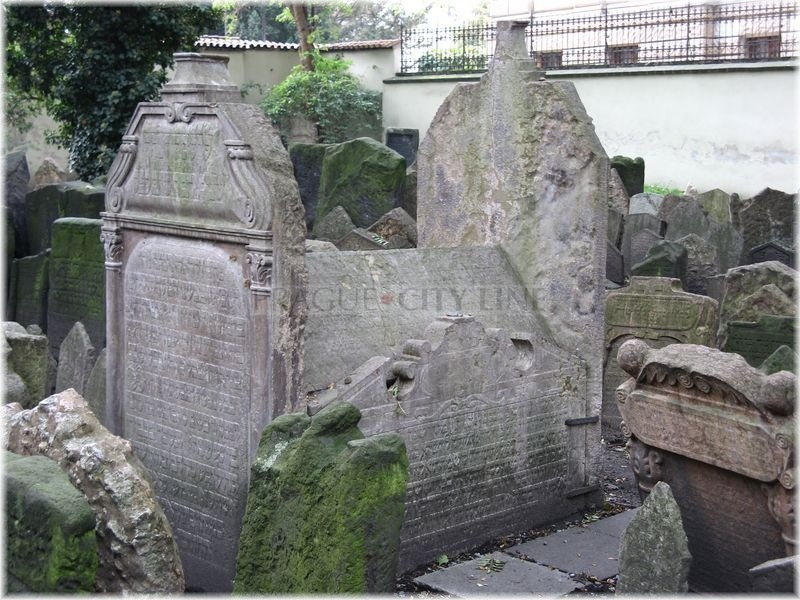 You will get a beautiful view of the city, refreshment and pleasant finale of the tour of old Jewish cemeteries.